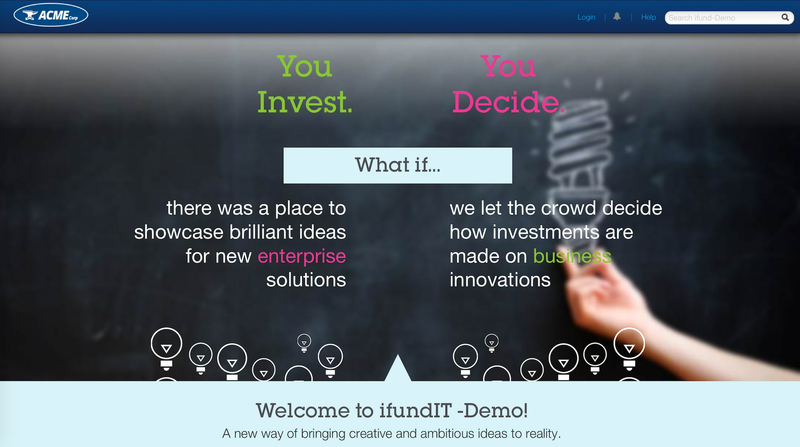 IBM ifundIT is more than just a business model. It’s a concept: a new way of thinking about investing, innovating, engaging employees, and decision making in a business environment. ifundIT consists of a set of interlocking parts, including a website, campaign modes, and a framework for managing a transparent innovation campaign throughout its lifecycle. 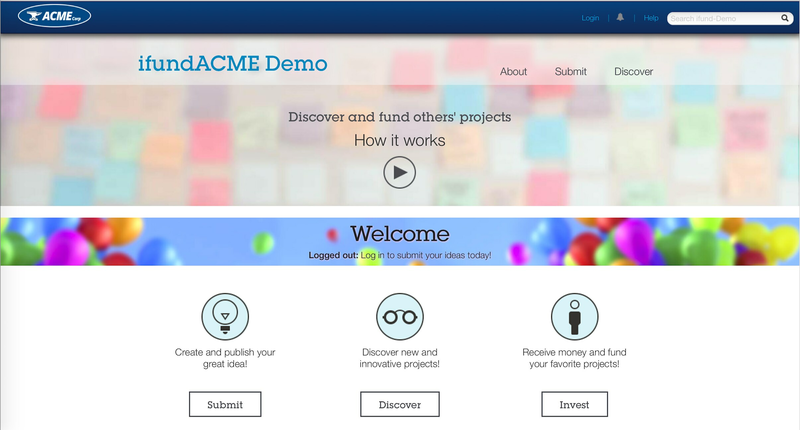 Use ifundIT to discover new ideas, manage existing portfolios, augment existing portfolios, and more. Drive business impact and value by turning creative, problem-solving ideas from within your organization into real products, services, and solutions for the enterprise. Let people closest to a problem figure out the best solution. Disrupt traditional organizational culture and engage employees as both innovators and critical decision makers. Bring in experts from different fields to think, collaborate, and create high-impact and high-value ideas ... together. Present leadership opportunity for all employees to be key participants in prioritization and investment decision-making activities, then listen to the crowd.